 It’s an exciting time here at Ticket Arena and Event Genius HQ. As part of our £3 million investment into our tools, services and brand, we’ve just launched our new App and our Ticket Arena website, so the office is buzzing with energy. These two launches are the first projects to be delivered as part of our new long-term strategy and are just the start of the service improvements, technical innovations and customer focussed ideas we’ve got planned to for our online ticketing and events platform. To make our plans into a reality, we’re looking for the best talent we can find and currently have 8 exciting job opportunities available for all levels of experience on our careers page. The most senior of those vacancies is the newly created Client Services Director role. We’re looking for an outstanding candidate with significant industry experience, knowhow and who has the contacts to help take the company achieve our goals. As part of our investment, we’re going to be expanding into new markets and have an exciting new Business Development Manager role which would allow the right candidate to lead our growth into the Berlin event market. If one of these roles sounds right for you and you’d like to work as part of a fast, fun, technology driven business, then we’d love to hear from you.